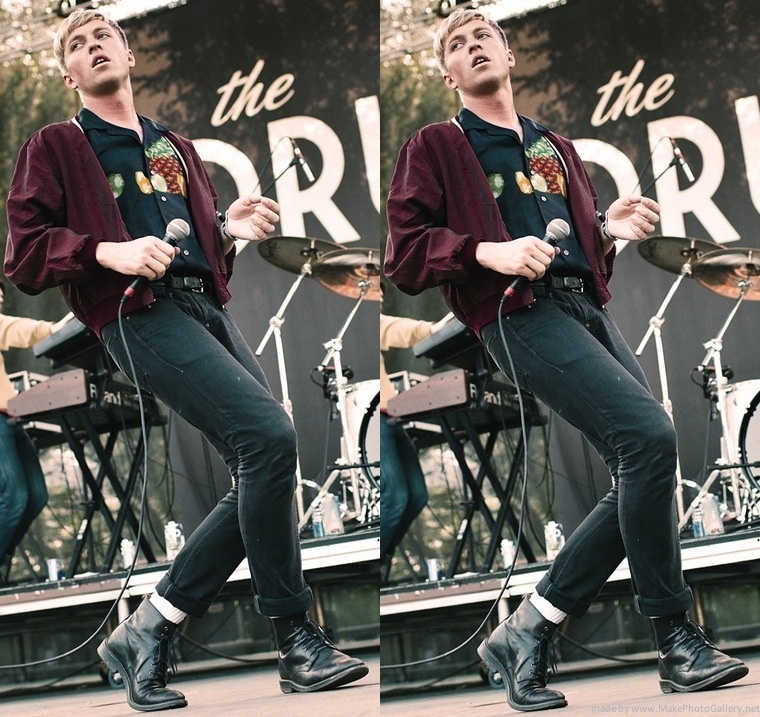 The Drums, Courting Transformation and Portland Audiences – found. Every few years, The Drums will reemerge with another album—always more mature, introspective, and life changing. Their latest release, Abysmal Thoughts, was no different to this algorithm. The record is full of heartache, bitterness, and wisdom. Jonny Pierce’s break from partners, both musically and romantically, could be speculated drivers of the album’s code. Regardless, The Drums have outdone themselves again and proven to be leaders in the contemporary underground music scene. Having been a fan of The Drums for most of my adult life, I was brimming with excitement and anticipation prior to the show. To calm my nerves, I downed a few drinks and tried to wait as patiently as possible. The first notes of “I’ll Fight for Your Life” were soon heard, and I knew my body wouldn’t stop moving for the rest of the night. Whenever seeing a band that was followed in college, there’s always the doubt of hearing the songs some of the important memories have been attached to. This was completely untrue for The Drums. Tears nearly squeezed out of my eyes while “Best Friend” and “Book of Stories” played in succession. Something I found interesting was that there were no songs included from their last release, Encyclopedia (2014). The Vampire Weekend-esque “Heart Basel” bounced off the walls of Wonder Ballroom and into “Days”, another favorite from Portomento, the band’s second full-length. They played more favorites from the past, including “Lets Go Surfing” and “Money”. As always Pierce was performing his famous arm/body sway and endlessly flirted with the audience. Even though the band’s performance was alluring and fun, I couldn’t help but miss the presence of Jacob, who had been a lingering mystery on stage in the past. After their impressively long set, we were left with an encore of the newer songs “If We All Share (Means Nothing)” and “Rich Kid$” and a buzzing head-clearing bliss.